Destiny Revealed is a reentry program that transforms the lives of incarcerated individuals and their families. What is The System Through The Eyes Of The Broken? This is a mock-up image of what the book will look like. The System Through The Eyes Of The Broken is a faith based book that tells a story of pain, struggle, and victory! 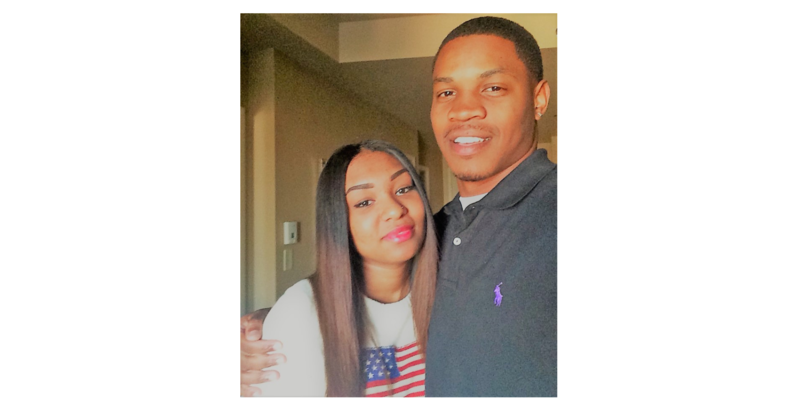 In 2016 Johnesha was faced with the toughest battle of her life—the incarceration of her fiancé Alkehm. It was in that moment she had to make the decision to either become a victim of the criminal justice system or turn the tables and become the victor through the power of God. Johnesha -- These words were built on pain but from them, you can reap a harvest of bountiful gain. The System Through The Eyes Of The Broken is not just a book. It’s a message. It’s a movement. It’s a journey to the truth on the inside of you. It not only has the power to bring awareness to the social injustices that we face but also has the power to change them because it changes you. This book was written to transform the lives of incarcerated individuals and their families. To bring them hope, peace, and love, while teaching them how to build positive lives and characteristics that will make them unstoppable in a world filled with disaster and pain. The book is PHASE I of Eyes Of The Broken's 3-Phase master plan to promote social change, reduce the rate of recidivism, mass incarceration, unemployment, homelessness, and broken homes. Alkehm is a young man who grew up searching for a route of difference, wanting to be and do better. He has always enjoyed being able to help and inspire other people whether older or younger. In his early years after graduating high school he dreamed of opening his own business; a car lot. Since that moment he has worked hard to progress towards the goal of his dreams, but him being incarcerated has made those dreams that he has had since a young man seem further away than ever. Alkehm has been awaiting trial for some time (since November 2016) with what it seems like as no progress and no finish line in sight. This has put him in a place where he has begun to feel hopeless. Hopeless because of the lack of due process, hopeless because of abuse of power, hopeless because of pain. Alkehm and other families members struggling within the web of the system is why The System Through The Eyes Of The Broken was written. Brokenness within families and communities which has been created due to a broken criminal justice system. The System Through The Eyes Of The Broken comes at a time when mass incarceration, which leads to brokenness within families and communities has become unacceptable to people from all walks of life. 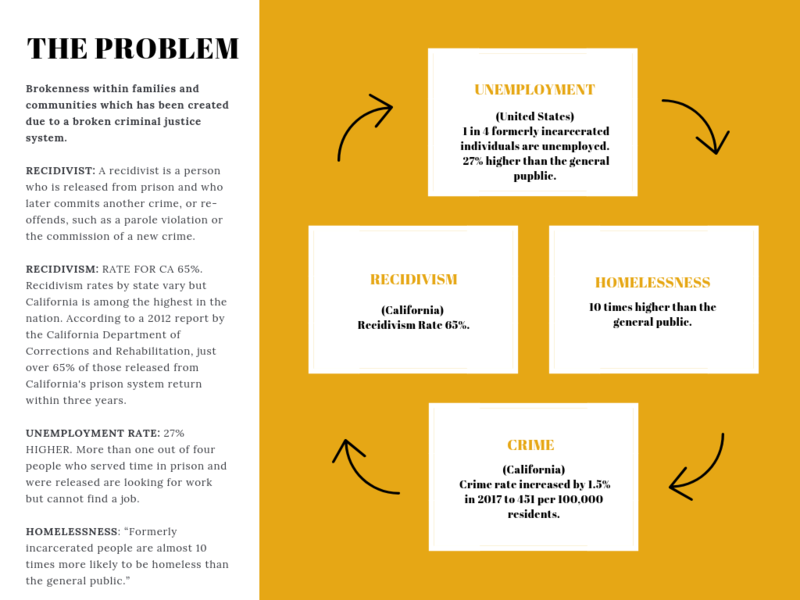 Criminal Justice Reform seems to weigh heavy on everyone's hearts and be on their agendas, but Johnesha and Alkehm have taken a different approach when it comes to resolving the problem. The couple believes the only way to create balance and heal the brokenness of the criminal justice system is to start with the people who have suffered from its brokenness. Johnesh -- The System Through The Eyes Of The Broken helps individuals change from within. It takes readers through a process that provides healing, self-awareness, and truth. It starts by revealing a problem, but as it progresses it teaches readers how to turn those problems into solutions while being transformed as they are renewed within their hearts and mind. The book is based on Johnesha and Alkehm's journey of faith in God. This includes their pain, struggles, victories and overall experience of the criminal justice system. The System Through The Eyes Of The Broken will become a tool used to teach people how to take their pain and use it to be a solution instead of a problem. The book builds hope. 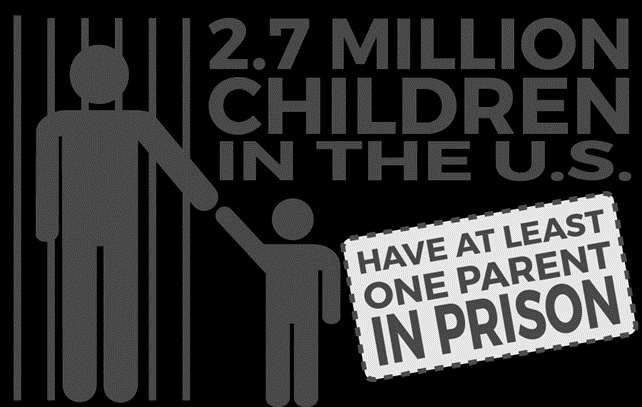 Incarcerated individuals and their families. Every purchase made by you on this campaign page whether it be a book or a t-shirt will help us print the first 1,000 copies of the book to give away free of charge to an individual incarcerated, get an ISBN, hire an editor, pay for artists, hire a publicists, and publish the book. This is a very large task that we cannot complete alone! What we are doing is bigger than us, which is why we’re calling on you. We need your support because they need your support! Johnesha is a young woman from Oakland, Ca who has seen and been through many trials in life, which is why she calls herself Eyes Of The Broken. Growing up, she always wanted to be a lawyer, but her fiancé Alkehm’s incarceration allowed her to see the system in another light (BROKEN). Because of this, she decided not to be a lawyer but to help incarcerated people in another way. Johnesha concluded that her family wouldn’t become a statistic but would take their pain and change the stats through the victory of their own journey. She would use what she and her fiance experienced while fighting through the pain and brokenness of the criminal justice system to create a blueprint to teach others how to take their pain and use it to be a solution instead of a problem. 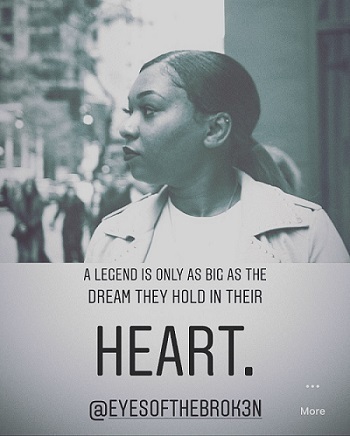 She’s currently in the process of building the foundation for her very own reentry program in California which is what the proceeds of this campaign will be used for. She actually doesn’t like to call it a reentry program. She prefers calling it a transformation program. A message from Johnesha - "The fight for criminal justice reform starts with the people who have suffered from its brokenness. Some people believe in speaking with the President or Senator, but I believe in going straight to the source of the pain; the people. If we don't start by helping them we can never tear down the walls of an unjust system. We will only be sitting back waiting for someone who doesn't care for our progress nor our change to be in charge of whether or not we progress. It's also my belief that nobody has more power to help change our situation and the struggles we've faced or are facing but us. If you've lived and conquered or are living and still conquering you could be the hope and light someone out in this dark world needs to see their way through. For me, I am now light in the prison systems darkness. Because my heart has suffered I can end their suffering." We are asking you to give towards our goal, or re-post this message to your social media account so this book can be sent to help incarcerated individuals + their families all over!!!!! This book, this mission, this journey is not possible without your help. My hand is going to hurt after this one, but I'll do anything for the cause. Be 1 out of the first 100 people that order from this reward tier and receive a signed copy of The System Through The Eyes Of The Broken book. The entire order includes 1 autographed copy of The System Through The Eyes Of The Broken book + FREE shipping. ONLY 100 AVAILABLE! Be a savage and support this mission by giving $21 and receive a digital copy of The System Through The Eyes Of The Broken eBook + an exclusive Spotify playlist full of all of the motivational music that keeps Ms. EYESOFTHEBROKEN going. All formats available for every flavor of eBook reader. I'm a prison lives matter advocate and you can be one too. By supporting this mission you can get the chance to be an advocate by sporting a #PRISONLIVESMATTERtoo t-shirt. BUY A BOOK GIVE A BOOK. You may want to help but just don't know how. Well, I have the perfect solution! You can support someone incarcerated when you buy a book for yourself (The System Through The Eyes Of The Broken), and someone incarcerated will receive a book. Another option is you can send the information of someone you love that's incarcerated and we'll send a book directly to them. You can also add a special message with a personalized note to the recipient with your name as the giver. By doing this you are giving someone hope and motivation. If you believe that prison lives matter too you can get the chance to speak up and be the voice of the broken by sporting a #PRISONLIVESMATTERtoo t-shirt, hat, tote bag, and bumper sticker all while reading your copy of The System Through The Eyes Of The Broken book. Now, this is the perfect time of the year to give a gift to someone who needs it. But get this, you not only get to give a gift, but you also get the chance to change someone's heart with your gift. You'll receive 5 copies of The System Through The Eyes Of The Broken, along with the eBook version. The entire order includes 5 copies of The System Through The Eyes Of The Broken + FREE shipping and an eBook. Support this mission by funding GRANT, enabling someone incarcerated and their family to receive the tools needed to have a chance at a fresh start and new life. Grant applications will be completed on the Eyes Of The Broken website and someone incarcerated along with their family will be chosen as the recipient of this gift. Your name will be listed as the giver along with the individual you've supported once you are matched with someone in need. Shipping for all items will be included in the cost. Alright alright alright alright let's get this party started and these lives transformed. You, yes you, can be apart of a mission that will change someone's life FOEVA. Be recognized as a Founding Father or Mother of DESTINY REVEALED on our website and get the chance to pick the brain of Ms. Eyesofthebroken herself when you receive a special invite to the Launch of DESTINY REVEALED, a private event hosted by the CEO & Founder of EYES OF THE BROKEN; exclusive members ONLY. Date to be announced along with the Surprise location. You'll also receive a special #PRISONLIVESMATTERtoo / EYES OF THE BROKEN T-SHIRT that says founding father or mother along with a complete #PRISONLIVESMATTERtoo swag bag. Support this mission and what you'll receive is no work but all of the reward. You can leave it to beaver (ME), and pre-order 50 copies of The System Through The Eyes Of The Broken and I will ship the book to 50 incarcerated individuals as a gift from you. The entire order includes 50 copies of The System Through The Eyes Of The Broken book + FREE shipping (U.S), a special note handcrafted that you write to the incarcerated individual receiving the book, and an eBook for yourself. Support this mission and you'll receive 99 copies of The System Through The Eyes Of The Broken sent to an organization of your choice. Or you can keep all 99 copies for yourself, it's up to you. This reward is not for the faint at heart it's for the brokenhearted. By supporting this mission you can get a chance to mend 99+ hearts that are broken just in time for Valentines Day. The entire order includes 99 copies of The System Through The Eyes Of The Broken book + FREE shipping, a book for yourself, and I'll even throw in a special message with a personalized note to the recipients with your name as the giver. If you believe in what we are doing here then you will receive the biggest reward ever. The one that comes from the hearts of the people you are helping when you see their faces and know they have had the ability to receive the help they need in order to succeed. We will also feature you on our website as OUR ANGEL presenting you with the halo you deserve and that halo just so happens to be; gratefulness, thankfulness, and gratitude. We'll get in touch with you to see how we can best thank you and show you even more how grateful we are for OUR ANGEL.